The San Pedro Pirates Football Club travelled to Punta Gorda Town, Stann- Creek District to face the Freedom Fighters at the Victor Sanchez Union Stadium on Sunday, October 22nd. 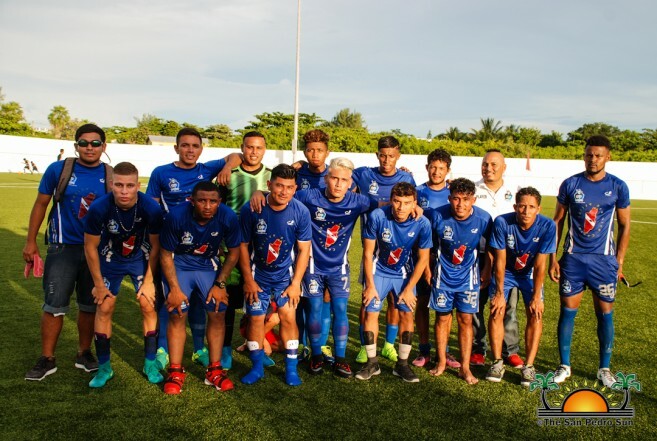 During the 11th week of the Premiere League of Belize (PLB), both Pirates and Freedom Fighters played their best during the tight match, but at the final whistle it was a victory for the island team. The game began at 4pm, with the Freedom Fighters feeling confident from an easy home win. However the island team was not an easy rival, and within the first 10 minutes of the match, Pirate’s Inri Gonzaga scored the first goal. The Freedom Fighters responded with a goal at minute 34th courtesy Ralph Flores. The match continued with crosses and passes, both teams trying to score another goal. It wasn’t until minute 43, that Freedom Fighter’s Mario Noralez found his way and netted another goal for his team. The first half came to an end with the home team leading 2-1 against the island team. Just couple minutes into the second half, Pirates Luis Mencia scored another goal for his team. The Pirate’s were not satisfied as yet, and at minute 63 Jesse Smith netted another goal. Once again at minute 69, the Pirate’s Inri Gonzaga found his way and scored another goal for his team. The pressure grew for the home team, as the Pirates were leading. The Freedom Fighters made close attempts to score, all unsuccessful. At minute 80, Freedom Fighter’s Allen Barillas found his way and netted a goal for his team. Down by one goal, the Freedom Fighters made several unsuccessful attempts to score. When the long whistle was blown, it was a victory for the island team of 4-3. The current standings of the PLB has Belmopan Bandits with 28 points, followed by Verdes F.C with 23 points. Police United F.C have 19 points, and Belize Defence Force have 16 points. The San Pedro Pirates F.C have 14 points. While Placencia Assassins and Dangriga Wagiya F.C have 10 points each. At the bottom of the chart is Freedom Fighters F.C with three points. The San Pedro Pirates will be hosting the Dangriga Wagiya Football Club on Sunday, October 29th at the Ambergris Stadium in San Pedro Town. The game is scheduled to start at 3PM, all islanders are invited to come out and support the home team.